You are here: Home / Dentistry / How to brush your teeth? Ok, so i have got many requests from people and my friends like khushal to post something related to personal hygiene, and that too related to my topic, i.e. teeth care. Here i share some nice information on how to brush your teeth properly, which would help to keep your teeth clean, in good condition, and also help in decreasing tooth decay. It is a rod like structure which has bristles in its head which when run against the teeth surface, cleans them. Then the other main thing that is required is a Tooth Paste, as only toothbrush can harm the teeth, tooth paste improve the aesthetic appearance and health of teeth. It is almost always used in conjunction with a toothbrush. 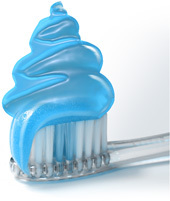 Toothpaste use can promote good oral hygiene. 1. 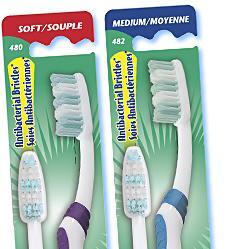 Apply the toothpaste onto the bristles of the toothbrush. 2. Place the brush at an angle of 45-degree against the anterior teeth i.e. the incisors and canines. 3. Ususally the anterior teeth are to be brushed vertically, as suggested by the dentists. 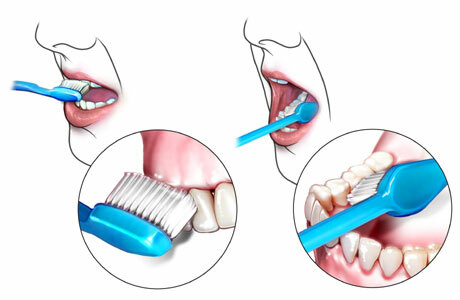 Because horizontal brushing has 2 effects on the oral structures, firstly horiontal brushing can remove off the enamel, secondly the bristles as they are sharp, they can get into the tiny gaps between the teeth and the gums. So, proper care has to be taken while brushing the anterior teeth, as they are one of your beauty spot markers on your face. 4. Use short, back-and-forth brushing motions to clean the outside and inside surfaces of the teeth, as well as the chewing surfaces. Follow with up-and-down motions to clean the inside surfaces of the front teeth. 5. Use the “toe” of the brush to clean the inside surfaces of the front teeth, using a gentle up-and-down stroke. 6. The occlusal surfaces of the pre-molars and the molars are to be brushed by horizontal brushing movements. 1. Do not apply much pressure. Most often people think that applying pressure would help in better cleaning of the teeth, but they dont realise how much sensitive the oral tissues are, until they see some bleeding from below the teeth, so be gentle while brushing the teeth. 2. Brush tongue to remove bacteria and freshen your breath. Not with the brushing bristles but there are tongue-cleaners available to do that. Dental floss is either a bundle of thin nylon filaments or a plastic (teflon or polyethylene) ribbon used to remove food and dental plaque from teeth. The floss is gently inserted between the teeth and scraped along the teeth sides, especially close to the gums. Dental floss is flavored or unflavored, and can be waxed or unwaxed. The dental floss is held between the fingers. It can be difficult to grasp floss due to the tension required to push between certain teeth, and reducing friction as the fingers and floss become wet from saliva. To keep a hold, the floss can be wrapped around one or both fingers. Doing this on or above the first joint allows that finger to be used in conjunction with the thumb in a traditional pinch grip, to reduce excessive tension on the skin. Wrapping dental floss too tight as a tourniquet reduces circulation. Many people floss dozen times a day, which is like an addiction, but it is advised not to floss many times. It also reduces the life of the oral structures. I will be sharing information about dental implants soon. Well actually it was i who requested right;)~~~ Will be blogging the after effects of these tips on my teeth sooner on my blog~~ I hope my gums won’t bleed more! I am sorry to say but you are attempting to teach a way of brushing one’s teeth which could do more harm than good. My employer, the dentist, advices his patients to brush their teeth with which they grow. Since the maxillary teeth grow downwards, one should brush in that direction only. Mandibular grow upwards so of course one should brush in that direction only. The back and forth (side to side), up and down, and brushing in circles causes the gum tissues to become loose which results in much damage to the gingiva tissue. Also the 3 aforementioned methods does nothing but keep the food particles remaining on the teeth rather than brushing them away. If you really think about it, the method that I am attempting to tell you does in fact make more sense once you think about it. As a future dental provider from a dental assistant/office manager, I hope that this has enlightened you. Angela, thanks for pointing the things out more clearly. But as am a first year student yet, i could tell what i was taught. Hope people understand the things. I will update the post, directing people to read your comment! Your website was very useful more my project work for methods of tooth brushing.so kindly request you to send me informations more about tooth brushing methods for adults as well for kids(fones method).i wil be greatly pleased if u send me the datas related to brushing methods for patients who have teeth recession that will add up a great knowledge to my project work. Yes, I agree with Angela because in hygiene school now we are taught to tell the patient to brush the maxillary teeth starting at the cervical line and work down to the occlusal surface in a messaging motion. As for the mandibular we are taught to brush upward, the technique here is very confusing glad someone else posted a comment and I am on the same page.